I am Don from Don's Footwear. 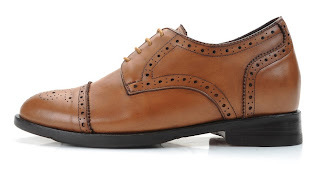 Below is a few comments about the elevator shoes that we create. Thank you for Reading. The shoes look spectacular, the best yet. Everything was done to specification and the sole really is great. Sorry for the late reply. I have received my shoes last week. I love the shoes particularly the black / yellow soles following my request for a harder sole. The shoes are beautiful. I hope to order more soon. The uppers look incredible. You aways do amazing work. I got a new job and will be moving soon but I will continue to buy from you! I've worn my MST Caterpillars every day since they arrived. You are the absolute best there is and I want everyone to know about your company! Hey Allan, I received the shoes today and all i can say is they are SAVAGE!! Nicest pair of shoes I have ever had, I measured my height today and Im standing 6.3-4 from from usual 6 foot in ordinary shoes which is great for my line of work. I will definitely order from you again soon, just give me time to save up the cash for them! Many thanks, you d man!! These are savage shoes and you have offered me a discount so that's really sound of you. Honestly they are the comfiest nicest shoes I have ever had. Thanks for the information you really are a Pro ! this is the reason of your success no doubt about it !!! I recieved shoes and this is wonderful piece I have used till now ,thanks u with very best regards buddy. It's good in look and most important very much comfortable in walking. My shoes arrived today! You have exceeded my expectations! Thank You, Thank You, Thank You! Allan, the shoes are great! They are a perfect fit, look good and have arrived in perfect condition. Thank you very much, it was a pleasure doing business with you. I will spread the word of your great quality you provide. 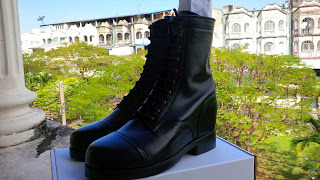 I have just received my fossato boots and I am very pleased by the height they provide. Just wanted to let you know I received the shoes today, and they're extremely good. Exactly what I was looking for, and the quality seems as good as anything you'd pay twice as much for. Getting used to walking with the raised soles is going to take a bit of getting used to, but that's alright. I received my beautiful pair of shoes. They are perfect, really comfortable and an amazing look. Thank you for such a wonderful product, and for your patience and help in getting me the perfect shoe. I will keep ordering more shoes from you. I really like the quality, specially the dress shoes. I bet the very expensive boots has to be pretty impressive. I would like to thank you for the shoes. We finally received and tried them. They are perfect !!! It is a beautiful work, amazing. We are thinking about ordering another pair of shoes for our wedding (just checking the budget !!). Just received my order! You do amazing work, I'm really happy with them! The wood finish is a great touch on these boots!! Thank you very much, well done!!! I just received the shoes. Magnificent! You are a master craftsman! The photos I sent you were of the latest Gucci loafers and you recreation has resulted in an even better product. These are also my first mid soles. I'm sold! So comfy you can't tell you're wearing three inches. All future shoes will bi midsoles. Looking forward to your new casual range. Hi don, finally received them, and they are fantastic! I am definitely a client. Just pls make sure to get them here faster next time.